Beer provides that perfectly crisp and refreshing flavor that you just have a craving for sometimes. 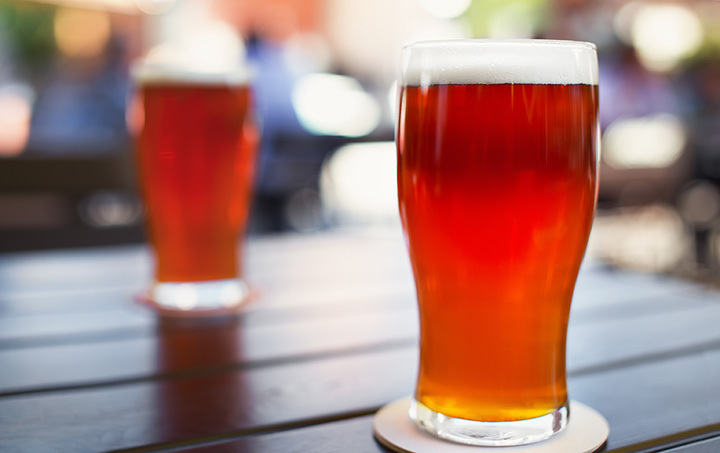 Add to the experience by sipping on your favorite brew at one of Arizona’s awesome beer gardens. Whether you prefer a full-bodied IPA on a patio in Phoenix or a refreshing ale under the starry Tucson sky, check out our favorite beer gardens in the state. For a unique indoor beer garden experience, head to the Park in Phoenix. You’ll find a curated selection of “hyperlocal hops,” craft cocktails, a canopied garden, a “nightlife playground,” and live music. The ever-changing menu highlights popular street food vendors, so there’s always something new and exciting to try. Stop by and check all 11,000 square-feet for yourself today! If craft beer and European food are your thing, you’ll feel right at home at Brat Haus. Locals love the extensive selection of beer, brats, and burgers. And thanks to the genuine hospitality and friendly servers, you’ll be coming back again and again. The Shop Beer Co. Is located in a historic house built in 1952—and once belonged to former Tempe mayor Harry Mitchell and his son, Mark Mitchell. Taste their independent, craft beers on tap in the tasting room, or head outside to the patio and “backyard” to relax at a community table. Gabbing a beer with a friend (or on your own) is encouraged...and who knows, you might even meet someone new! There’s a lot on offer at Angels Trumpet Alehouse. From their happy hour specials to Tuesday TV dinners, Sunday Fundays, beer flights, and spacious, inviting beer garden, there’s hardly a reason not to stop in for a cold one. Want to stay in the know on the go? Download the alehouse’s app and you can see what’s on tap before you even leave the house. How’s that for adding value? Pizza and beer is a classic combination, and we can’t think of anyone who does it quite as well as Reilly in Tucson. Really, what more could you ask for than a tasty wood-fired pizza made from local ingredients? Oh, right, beer. At the beer garden, you’ll find 28 rotating beers on tap, eight wines, and the aforementioned pizza, among other delicious fare. There’s indoor and outdoor seating, communal tables, and always a lively conversation. The patio at Historic Brewing Company is where all of the action is. Choose from a rotating menu of 15 beers—some classic offerings, some seasonal, and some limited releases—but all delicious nonetheless. Looking for a bite to pair your beer with? Try “a variety” of street tacos and other Mexican fare—and don’t forget to growler or some cans to go. Gordon Biersch is an upscale, casual restaurant with a focus on comforting and exciting made-from-scratch fare, good times, and last but not least, German lagers brewed right on-site. Their Bier Garden is “eclectic” and spacious with comfortable patio seating for all parties. Located in the Warehouse Arts District, Borderlands Brewing Company is the place to go for “hand crafted ales with a focus on local ingredients.” The brewery offers a relaxed atmosphere with a community-forward focus, whether you're drinking inside or out in the beer garden. Keep an eye on the “News and Events” page for live music, food trucks, and more. From October 19-28, residents of Carefree and the surrounding area can enjoy the Enchanted Pumpkin Garden, which is craft beer garden featuring seasonal beers from local breweries, food trucks, and more. Bring the kids, too! Halloween activities and fun for the whole family are aplenty—with costume contests, face painting, pumpkin carving, and a whole lot more. Love great beer? Then you’ll love Oak Creek Brewing Company and its beer garden. Grab a tasty lager, IPA, or their popular “Nut Brown,” order a bit from their menu, and pull up a chair or relax by the fire pit. The Events Calendar will keep you up to date on all of the brewery’s, well, events—including their weekly drum ‘n dance circles which are nothing short of memorable. Fancy sharing your own talent? Sign up for an open mic! With the help of a little liquid courage, anyone can do it!